Step 1 : lunch your winbos application by Loging into the router with your mikrotik Winbox. 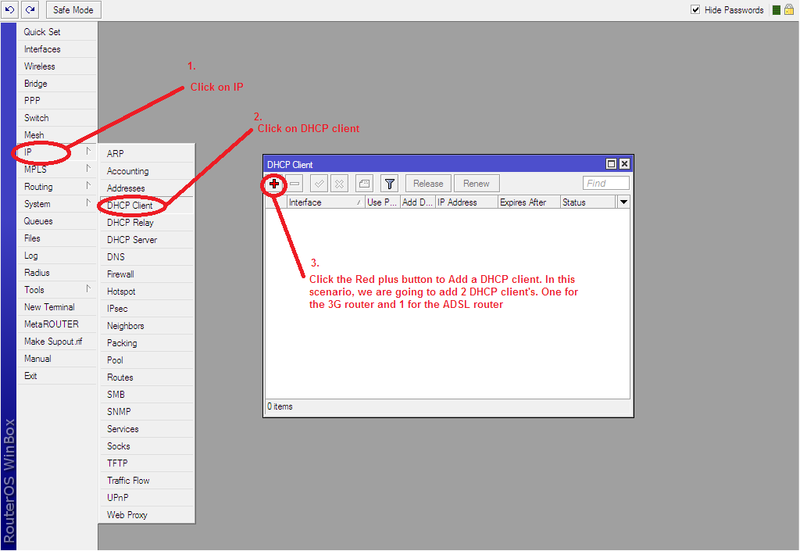 Step 2 : On the menu, Go to IP > DHCP Client. Step3 : You will see a new window. Step 5 : After clicking the red plus button, another window will appear. 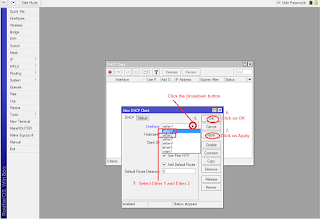 Step 6 : Lets stop at the first setting (Interface). The Interface is a part of hardware on the board. Example, Ethernet(LAN) port 1 is an interface. Your wireless Card that is connected to the board (WAN) is an interface. 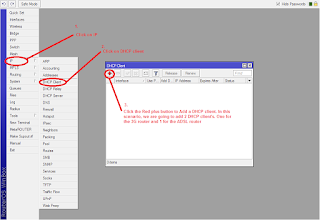 If your Mikrotik Ethernet port 1 is connected to your ADSL router with an ethernet cable, then the Mikrotik Ethernet port 1 should be a DHCP client because this port will receive an IP address from the ADSL router. Under Interface, Select ether1 and press apply and OK. 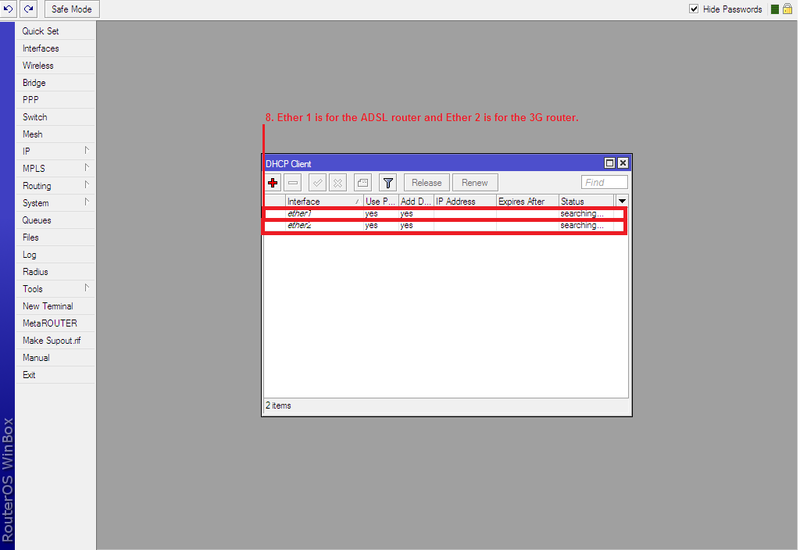 Step 7 : Now you will see that you have your ether1 searching for an IP address. 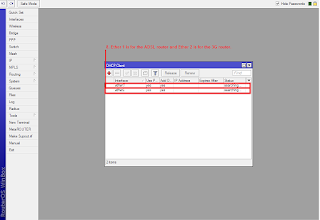 In the image below, ether2 is also used as a DHCP client for a 3G router, if the ADSL fails.